MILTON — About 20 sophomores from Milton High School toured T-Ross Brothers Construction today to learn about different careers in the construction field. The students were taking part in Career Day at their school and students who visited T-Ross Brothers were all interested in construction. Owner and company president Todd Ross took the students on a tour of the facility in Montandon, where they learned about project design and management and were also shown the wood shop, paint shop and other areas of expertise on site. They left today with knowledge about a variety of fields in the construction industry. 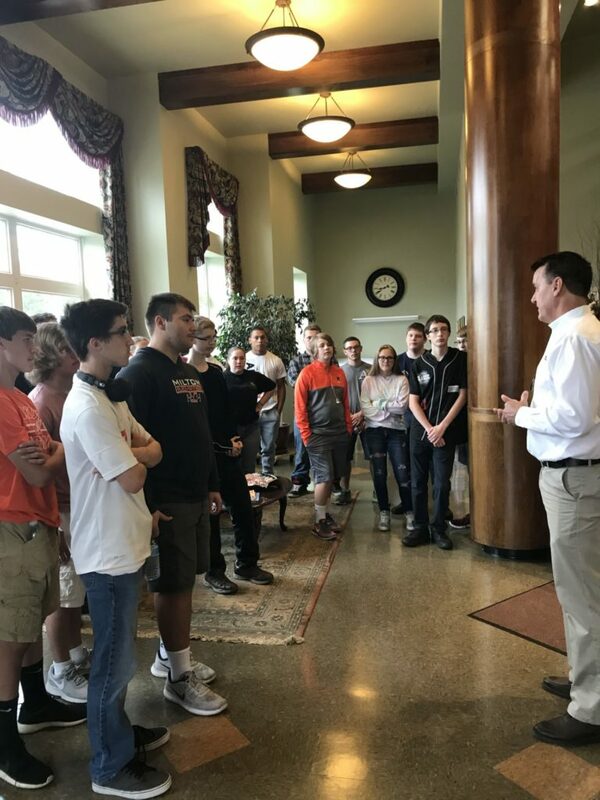 The post Milton High School sophomores learn more about careers in construction appeared first on T-Ross Brothers Construction, Inc..